AllThingsModular: Aalto and Kaivo on Sale! 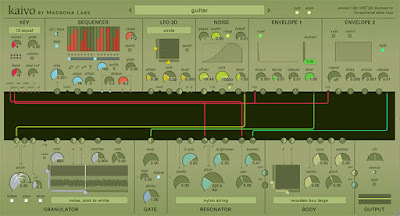 Randy Jones, of Madrona Labs, has announced that all of Madrona's plug-ins are 30% off. That means Aalto is $69, and Kaivo is $90. You use the coupon code "PARABOLA" in the Madrona to get the deal - good through September 1. 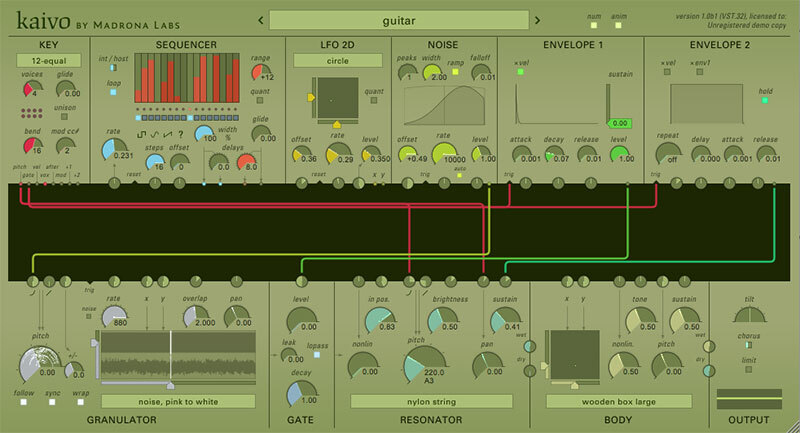 If you haven't checked out Madrona's plug-ins, you are in for a surprise. Aalto is the closest thing to the wonderful-yet-irrational world of the Buchla - without going bankrupt. But for me, Kaivo is the deal: a toolbox/playground for physical modeling which opens the door for crazy experimentation, or sometimes just a nice guitar. This is probably my favorite plug-in for wasting a Sunday afternoon, and I've used it a lot (in conjunction with my modular and Ableton Live, of course) to create the sound beds for the AMT podcast. It's a steal at 90 bucks, and a great way to support a great company.